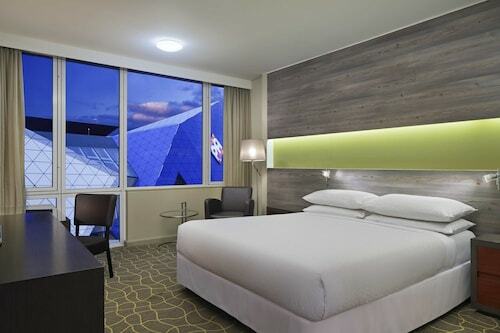 Enjoy the stay at this hotel great breakfast nice staff spacious room in a quiet part of Perth opposite the Perth Arena. We always stay at the Metro as it is convenient for us being country clients and free car parking and great views of Perth in the balcony suits. The ferry cat made it very easy to commute to the city centre, from there catch the train to go everywhere around Perth. 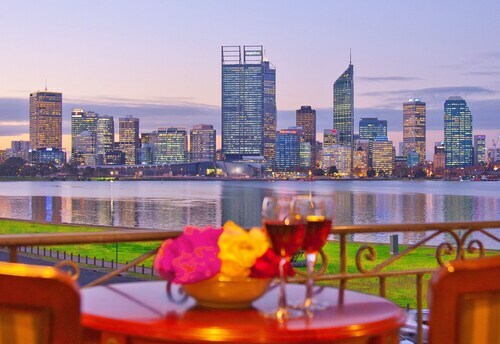 We had a great time at the Hilton Hotel in Perth starting at the front desk with a friendly and professional young lady called Madison who upgraded us to a top floor room with views of the Swan River and Kings Park. Excellent first experience in Perth made more enjoyable with convenience to public transport, friendly staff, good food(though bacon could be a bit less over cooked), well kept room/facilities. Next day brekky comprehensive with more staff in really helpful category, next time if required to stay in Perth guess where we will stay. Great location, friendly staff and free parking was a bonus. Great value for money. Don’t put off your vacation any longer. 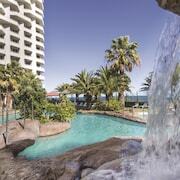 Book a holiday in Perth, Australia, and you’ll be relishing the seaside in no time. This coastal city is the not only the capital of Western Australia, but also the largest city in the state. It sits on the country’s west coast, roughly 170 km north of Bunbury, and it features a cultural hub as well as a beach vibe. If you’re drawn to the big city scene, spend your holiday gallivanting around the museums, galleries, and shops. Get lost exploring the Western Australian Museum, check out the exhibits at the Art Gallery of Western Australia, and hunt for souvenirs at the city markets on the weekends. Outside of the cityscape, you’ll find surfable waves at Trigg Beach and secluded stretches of sand along Leighton Beach. Relax along Scarborough Beach, and go for a dip in North Cottesloe. If you prefer more inland activities, there’s plenty of those, too. During your stay in Perth, bushwalk along the trails at one of the nearby nature areas, such as Serpentine National Park or Avon Valley National Park. There’s something for everyone in this coastal town, so book your trip and find your perfect match today. 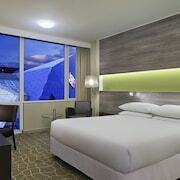 Don’t let the cost of your lodging blow your vacation budget. Here at Expedia.co.nz, we offer cheap deals on Perth accommodation, so don’t have to give your finances another thought. 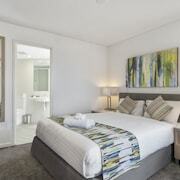 Whether you’re looking for affordable motels or luxury hotels in Perth Australia, our vast selection will accommodate all your needs and price range. 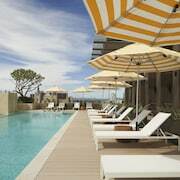 Browse through hotels that features poolside bars, on-site restaurants, and fitness centres. 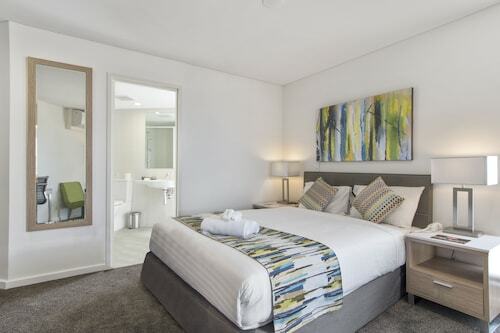 During your search, you can even find Perth airport accommodation within easy access of the terminal. Whatever your preferences and price range, we’ve got a place for you. Trying to decide when to visit? On average, January is the warmest month in Perth with temperatures around 25 degrees C, and July is the coolest as the temperatures linger around 13 degrees C. If you’re looking forward to a sunny trip, avoid June, which is considered the wettest month. Once you settle on a time to visit, book your flights and land at Perth Airport (PER). 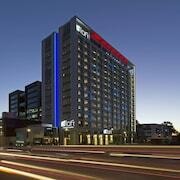 From here, rent a car hire, and head 10 km on National Highway 94 to arrive in the city centre. If you’d rather catch a ride, taxis are always available and the Transperth public bus services the airport, Kings Park, and Esplanade. Keep your savings account intact when you book your Perth adventure right here with us. 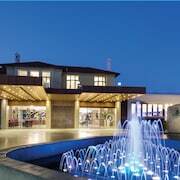 At Expedia.co.nz, we’re dedicated to helping you find cheap deals on Perth hotels, flights, and rental cars that align with all your travel wants and needs. We not only make it affordable to travel, but we make it easy to book. 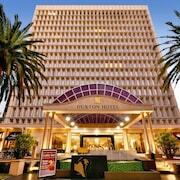 In just a few clicks, you’ll be ready to embark on your romp in Perth. Make your reservations today and start marking down the days until you’re basking on the shores of this seaside community. 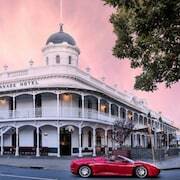 Explore Perth with Expedia.co.nz’s Travel Guides to find the best flights, cars, holiday packages and more!